No, they don't just want to do whatever House Republicans are putting in their Obamacare replacement plan. 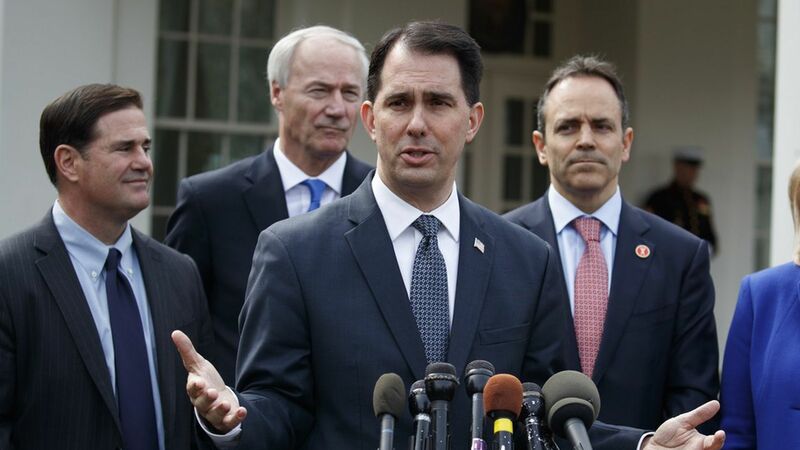 By the end of the National Governors Association meeting this weekend, the GOP governors were closing in on a framework for Medicaid reform to recommend to Congress, I'm told — and it goes beyond the standard Republican proposals of block grants or per-person limits on the funding. If a state that expanded Medicaid wanted to keep the expansion, and the extra federal money that goes with it, they'd have to agree to "put the state on a budget" by eventually switching to per-capita caps or block grants. If they're not willing to do that, they could keep the expansion, but they'd have to do it under the regular federal matching rate — they'd stop getting the extra funds. For a state that didn't expand Medicaid, but wanted to do so now, they could add coverage of childless adults up to 100 percent of the federal poverty line — not the 138 percent under Obamacare. And they, too, would have to switch to per-capita caps or block grants in the future. If they're not willing to switch to per-capita caps or block grants, they could cover everyone up to 100 percent of the federal poverty line, but only with the regular matching funds. They'd also get more flexibility to help them live within a budget — including using managed care plans, having more ways to control prescription drug spending, and requiring premium contributions. Why we're going to hear more about this: The Republican governors made it clear to Trump that they don't want any of their residents to lose coverage, and this is how they think they can avoid that problem. But first, they'll have to draft it into enough detail to get cost estimates — and find out what happens to coverage over the long term.